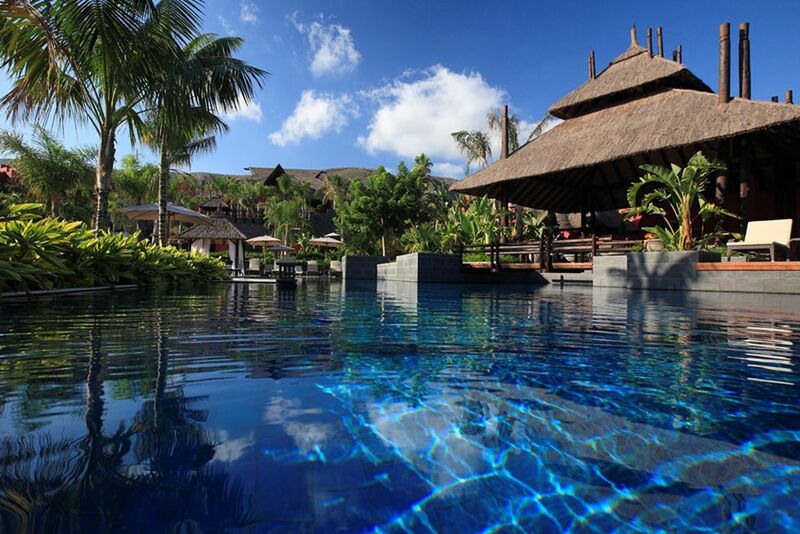 Enjoy a unique escape at the exclusive hotel, Asia Gardens Hotel & Thai Spa, with all the serenity, peace and quiet of South-East Asia. 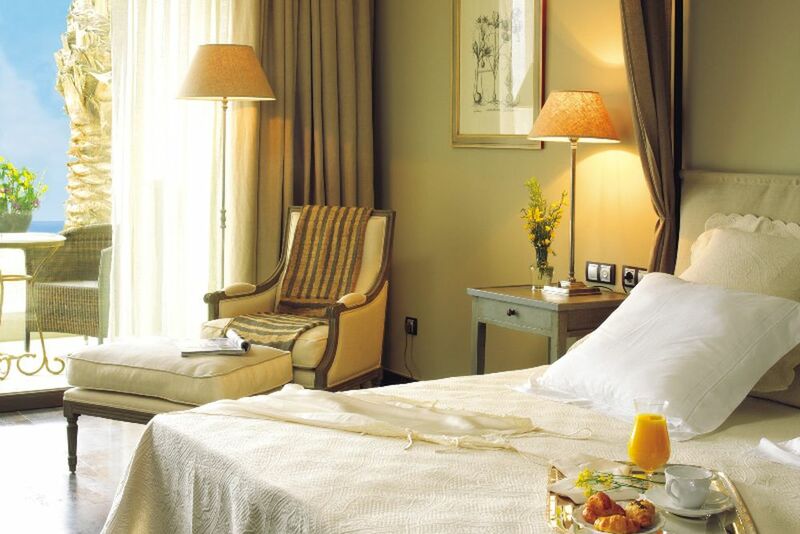 Its guarantee of complete relaxation and perfect service has made it a member of Leading Hotels of the World. 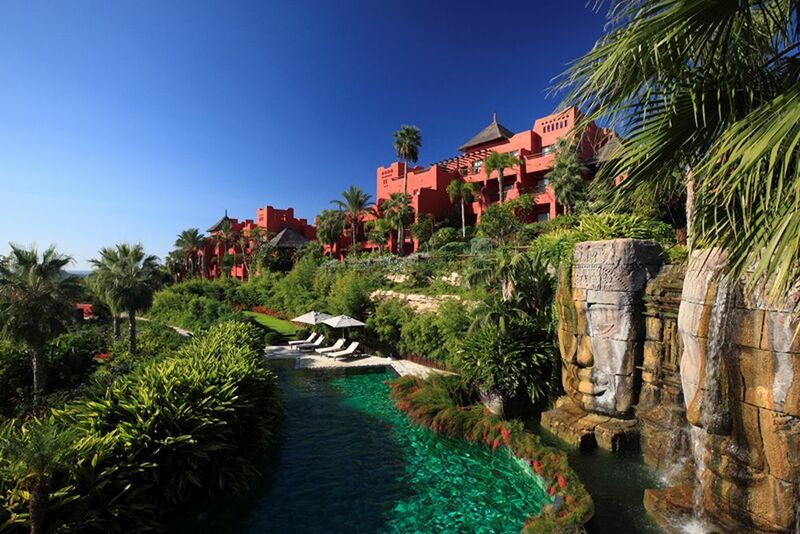 Asian Gardens is an Asian paradise in the Mediterranean. Located in Finestrat on the Costa Blanca and only a few kilometers from Alicante, the resort opens spectacular views of the villages of Benidorm, Altea, Calpe and even the bay of San Juan de Alicante. 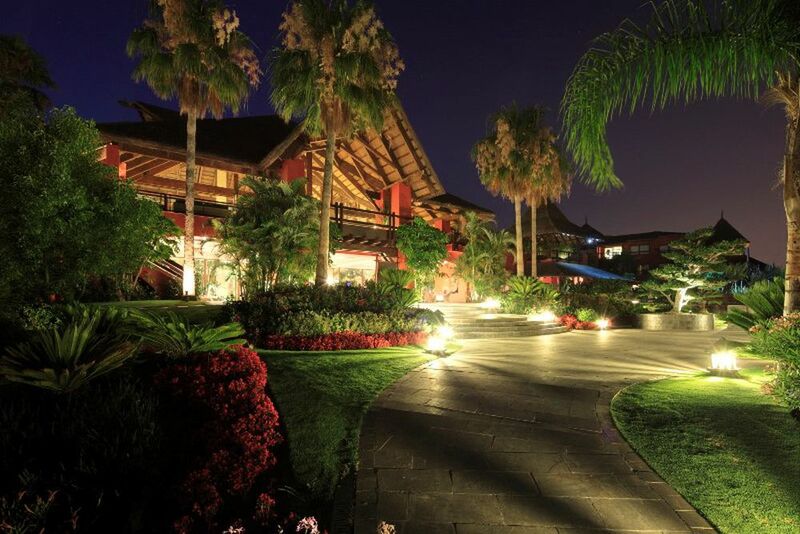 Give yourself the luxury of getting lost in the resort's tropical gardens. 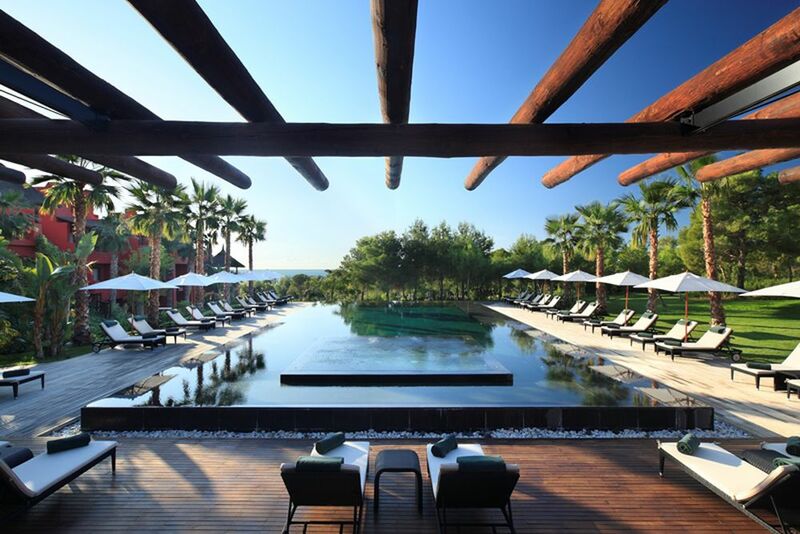 With over 200 different species of plants and trees (80% are Asian in origin), the resort created an Asian environment in a Mediterranean climate region. 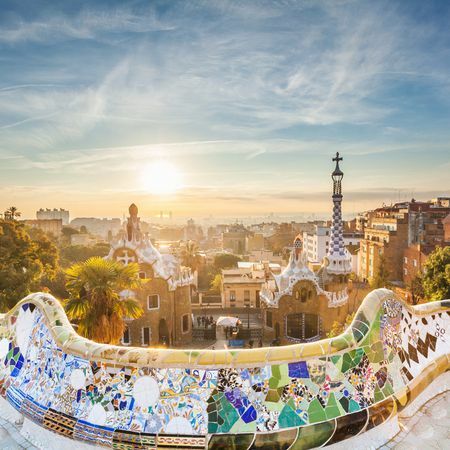 The beach is about 2 kilometers away so you can soak in some salty air while visiting Spain. Besides two 18-hole golf courses, the theme parks Terra Mitica, Terra Natura and Aqua Natura are nearby. You can reach the airport of Alicante in 25 minutes. 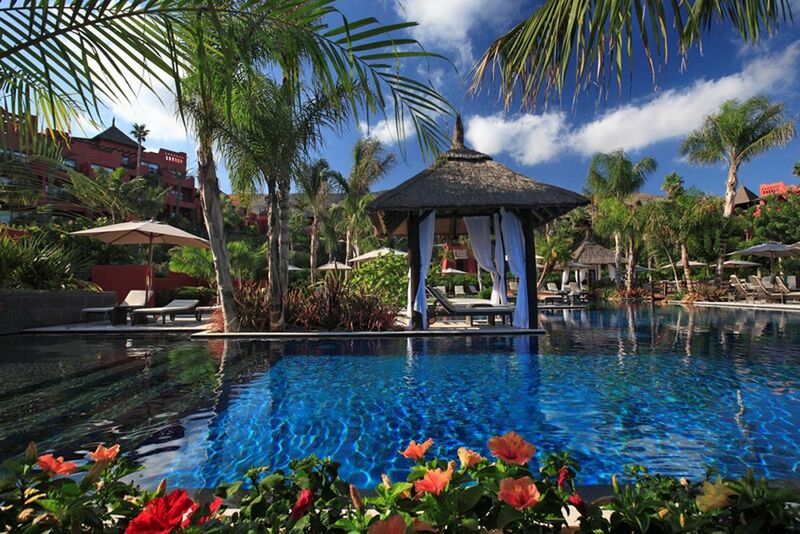 Nestled in the exotic gardens are 7 spacious pool areas where you can relax under the Mediterranean sun. 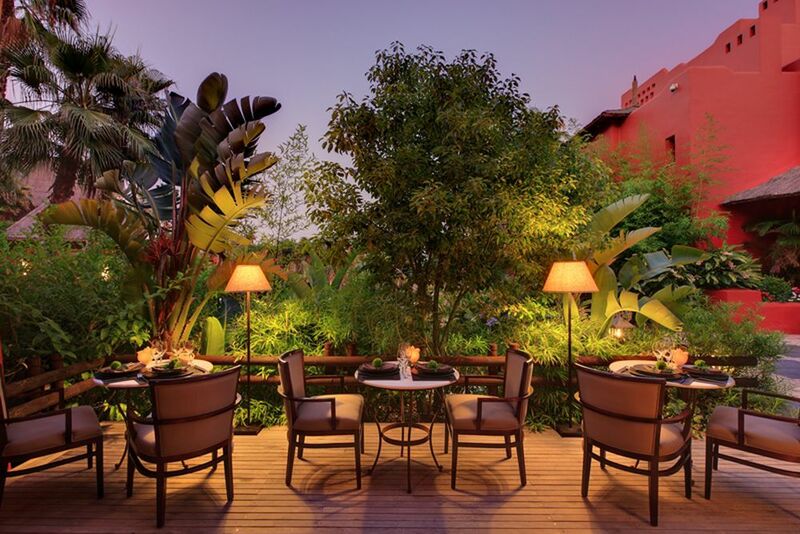 Indulge in the Mediterranean gastronomic paradise when staying at Asia Gardens Hotel! 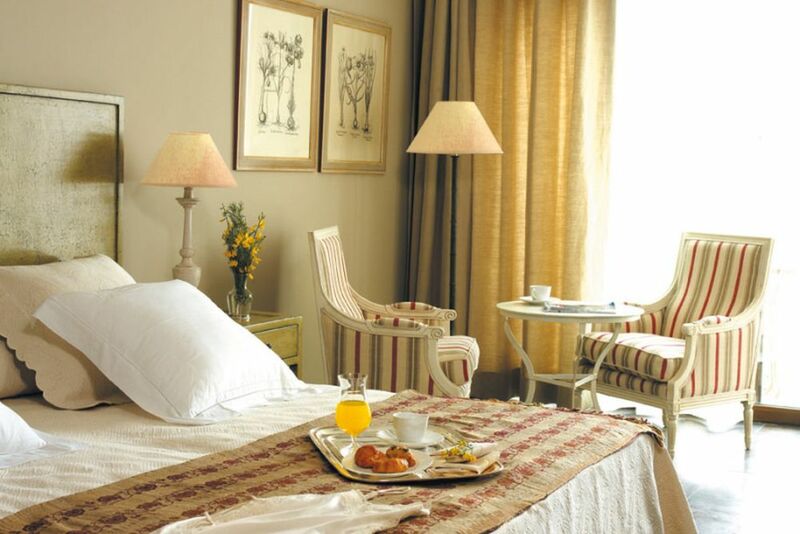 The day begins at Udaipur restaurant, with a rich breakfast to prepare you for your adventure packed day. Spoil yourself with the exquisite blend of Mediterranean and international cuisine at their evening buffets. Continue soaking up the sun while enjoying Mediterranean cuisine at Palapa Restaurant. 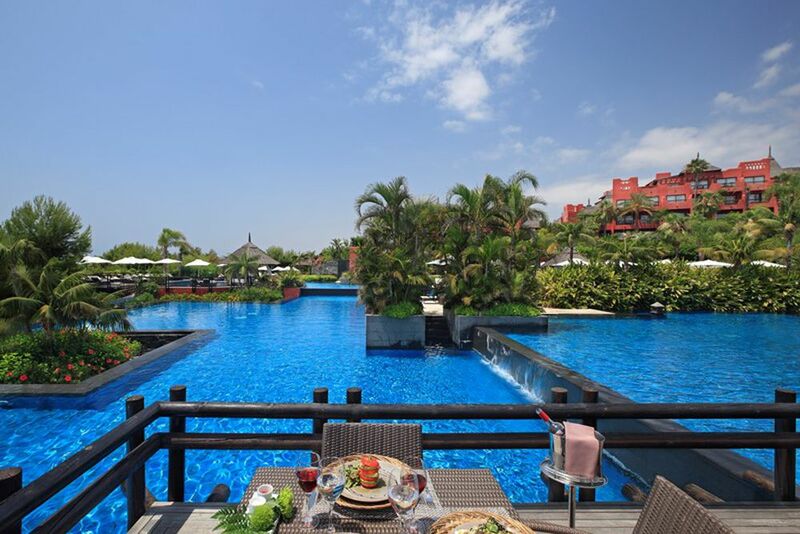 Replenish with a delicious meal for lunch whilst overlooking the 7 swimming pools. 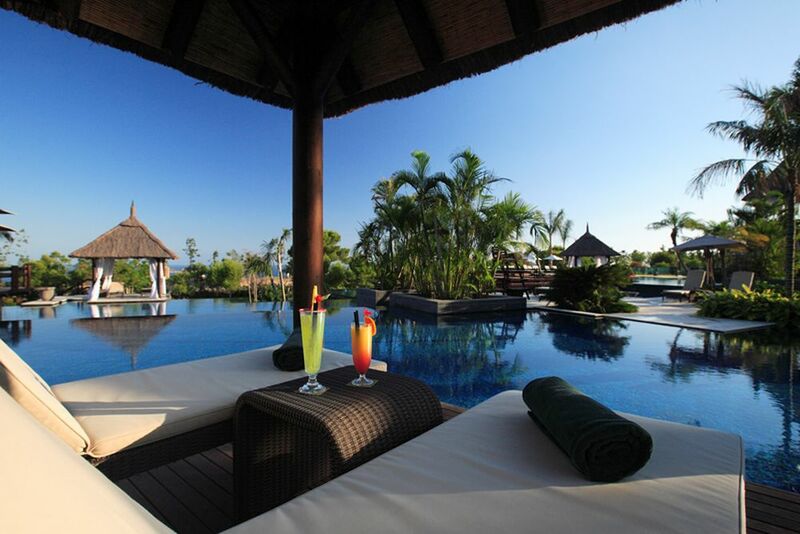 Taste blends of Oriental cuisine and Asian specialties throughout the entire menu at the fusion restaurant Koh Samui. 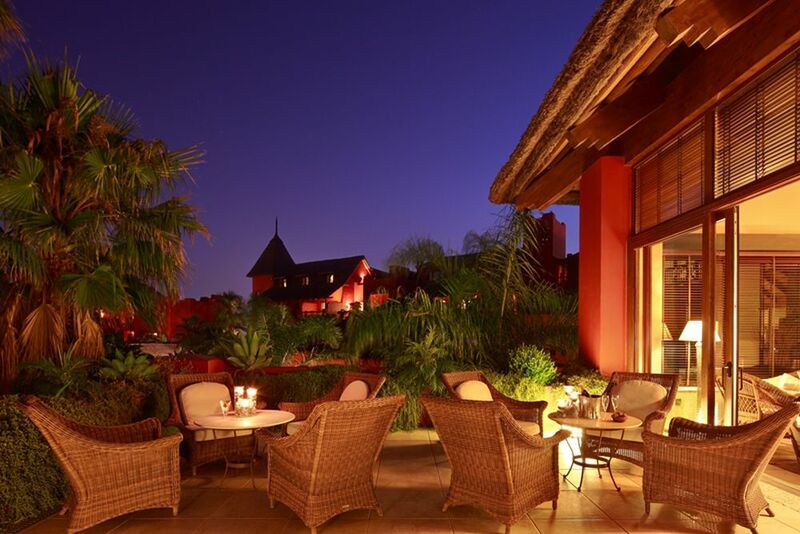 Known for its international dishes and creations and exclusive atmosphere is the gourmet restaurant In Black. The Champagne Bar is a popular meeting place for sushi, refreshing drinks, cocktails and exclusive selection of different sparkling wines. Specialties off the grill are offered at the pool restaurant, The Island. 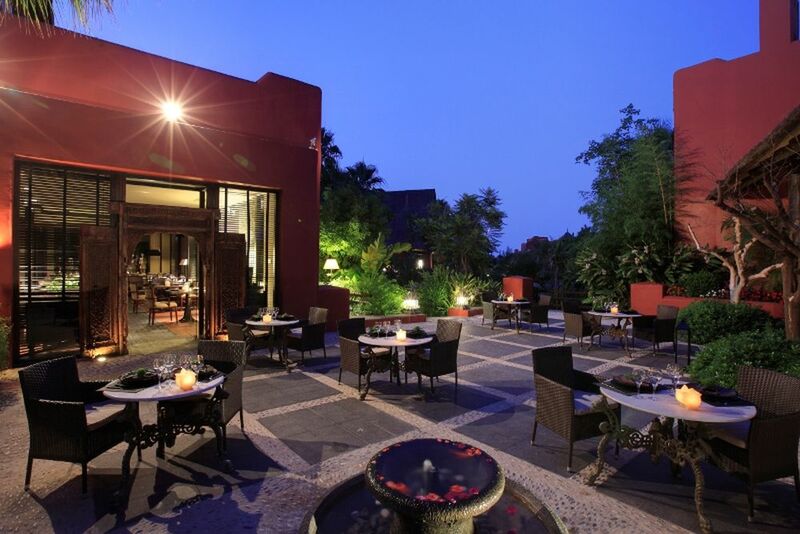 The Bonsai Lounge and Snack Bar is an evening gathering place for small meals and drinks. 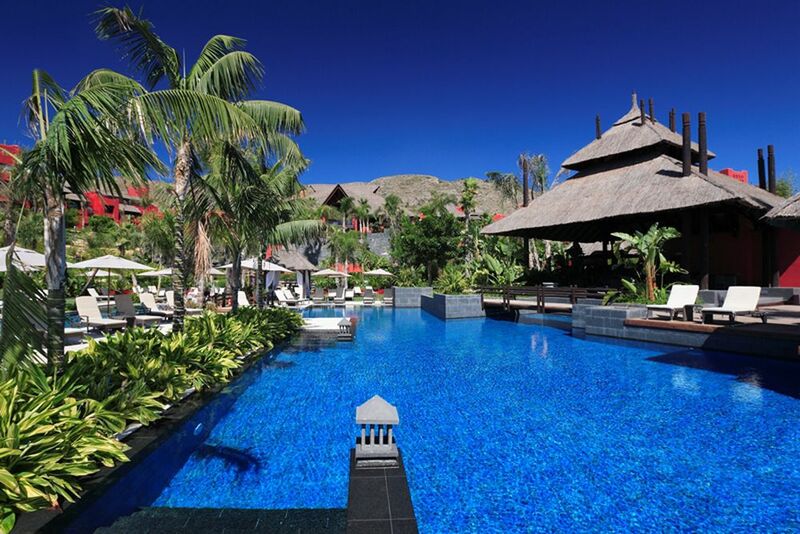 If you want to enjoy a light meal by the pool for lunch, head on over to Zen Snack Bar. Children between 4 and 12 years old are well cared for in the children’s club. There is also a wide range of theme and leisure parks in the immediate vicinity. Wake up in Asia! 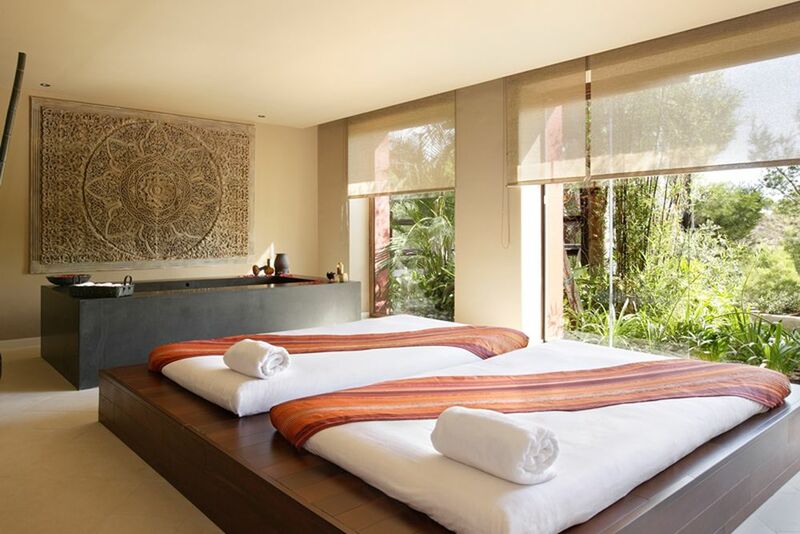 The rooms of the Asia Gardens & Thai Spa are decorated in a modern Thai-Balinese style and include a king-size bed or two single beds. Amenities include a LCD TV, home cinema system, stereo system, iPod/iPhone docking station, Wi-Fi, safe and bathroom with a separate shower. 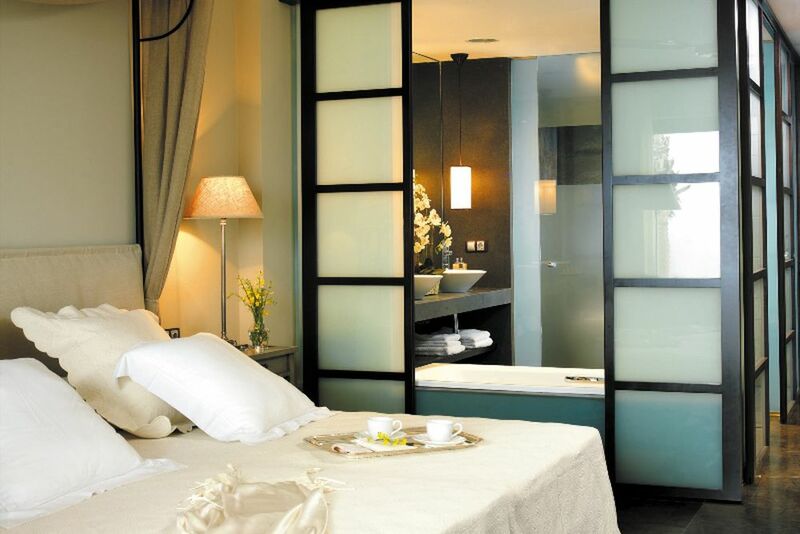 Deluxe Room (30 sqm)—The pure modern Bali-style rooms include a terrace with views of the resort and surrounding gardens. For a maximum of 2 adults, 1 child up to 12 years & 1 baby. 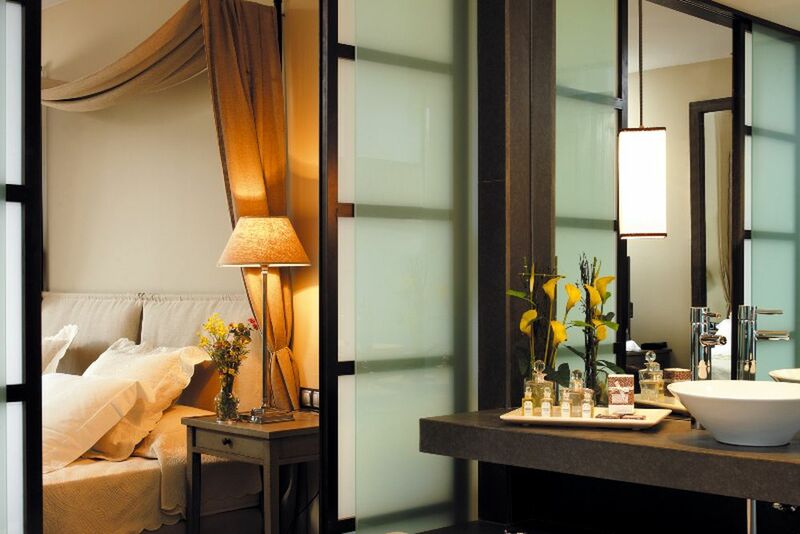 Deluxe Superior (35 sqm)—Take an Asiatic break with the family in the additional living area. For a maximum of 2 adults, 1 child up to 12 years & 1 baby. 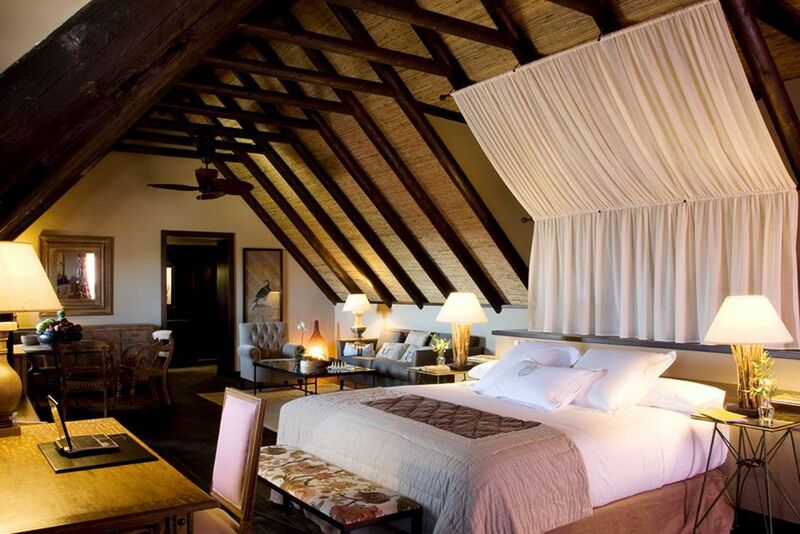 Double Deluxe Seaview (30 sqm)—Like the deluxe room, but overlooks the stunning ocean. For a maximum of 2 adults, 1 child up to 12 years & 1 baby. 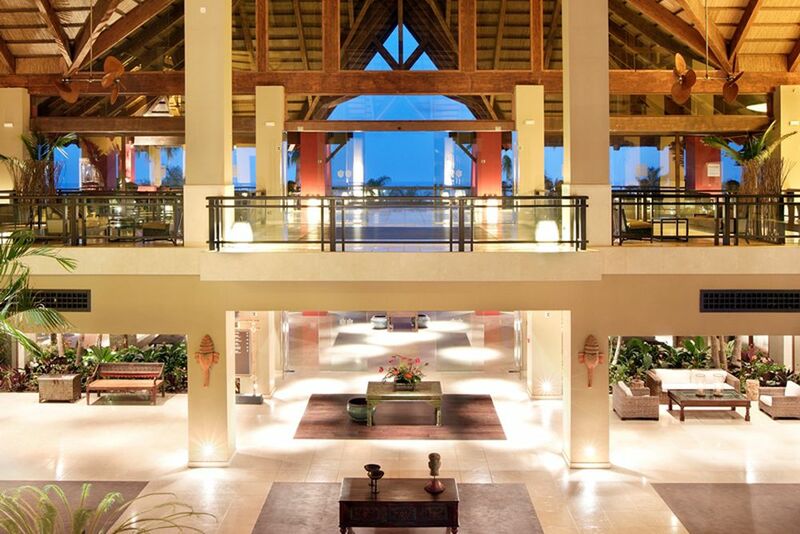 Suite (60 sqm)—The spectacular suites have amazing views overlooking the tropical gardens and the sea. For a maximum of 2 adults, 1 child up to 12 years & 1 baby. Boy and mind are reconciled with a large selection of relaxing massages and beauty treatments. 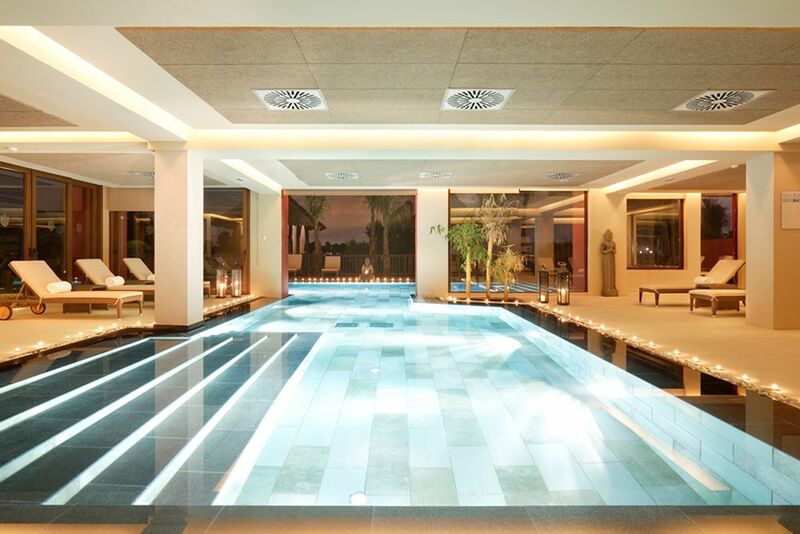 There are 5 indoor treatment rooms, 7 outdoor covered treatment areas, a sun terrace, a relaxation area, a heated indoor pool and a Turkish bath (Hammam). Children under 16 are not allowed to enter the spa.